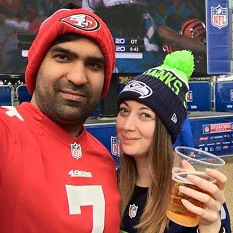 Who doesn’t love competitions, especially when it involves NFL merchandise? Check out our regular #NFLUKGiveAway’s for your chance to win. EXPIRED: Get game-ready for the new NFL season! EXPIRED: We’re giving away the official Giants and Redskins Draft Cap! EXPIRED: It’s time to vote for your favourite touchdown celebration!